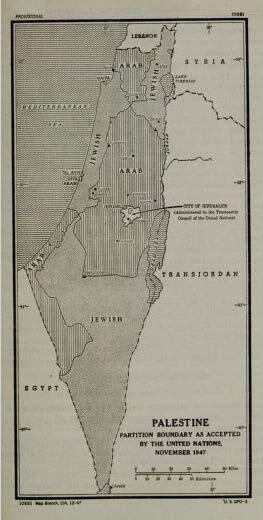 At the passing on 29 November 1947 of “United Nations General Assembly Resolution 181 (II), Future Government of Palestine,” which sketched the outlines of the future State of Israel, the UN was itself in its infancy and seeking a permanent home. 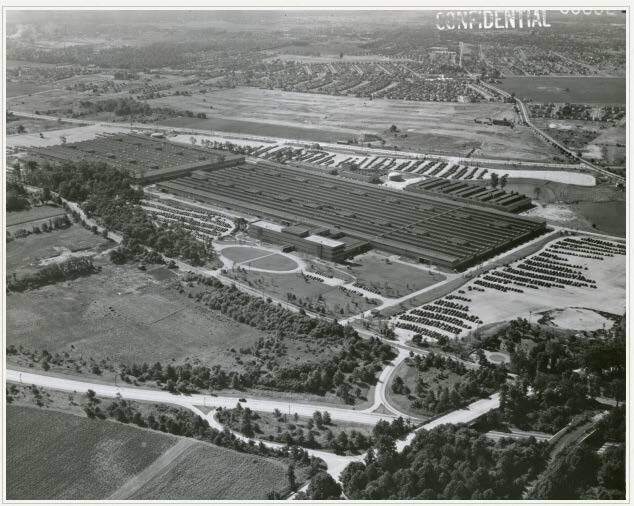 So it was that the Partition of Palestine can be traced to the Sperry Gyroscope Plant on Long Island at 1111 Marcus Avenue, in Lake Success, New York. It seems fitting that Resolution 181’s three-axis balancing of the “Independent Arab and Jewish States and the Special International Regime for the City of Jerusalem” has its roots in a former defense installation devoted to manufacturing instruments to serve exactly that purpose. Comprehensive research also takes place in multiple dimensions. Historically, printed material comes readily to hand because it can be organized on shelves or in folders. But consider as well that even today, primary sources often appear in ephemeral broadcast formats such as television and radio. These, however, are difficult to search and collate unless a transcript is given—which is precisely what Foreign Broadcast Information Service (FBIS) Daily Reports provide. And not only were FBIS reports transcribed and standardized, they were expertly translated into English. FBIS was the primary means whereby the United States government could obtain first-hand perspectives from international media. It dates back to 1947 as an agency under the CIA, with roots in the War Department. 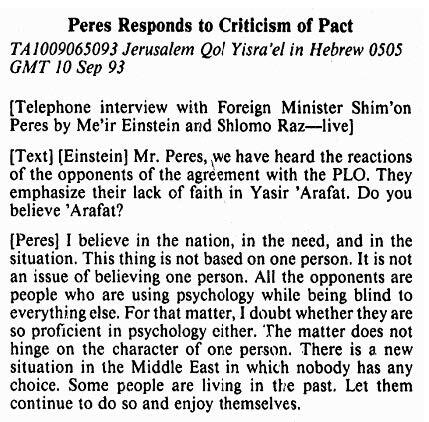 In a very real sense, FBIS and Israel grew up together. Among the many virtues of the Daily Reports is their diversity of sources, allowing even contentious issues such as the “two-state solution” to be considered from multiple sides. Examples of the breadth of FBIS Daily Reports can be seen below, selected from a search for “Palestine AND Partition” within “Gaza Strip,” “Israel,” and “West Bank.” Note that we can find both staunch nationalism and dissension within a given political entity. When the nations of the world sought consensus in the founding of the State of Israel, they turned to the United Nations; at the same time, when America needed to make sense of world affairs, it turned to FBIS. FBIS was there at the beginning and continues to be essential for understanding the many voices of the Middle East. Research relying only on conventional printed material misses out on the immediacy and vitality of radio and television. Explore Foreign Broadcast Information Service (FBIS) Daily Reports and discover what you've been missing.